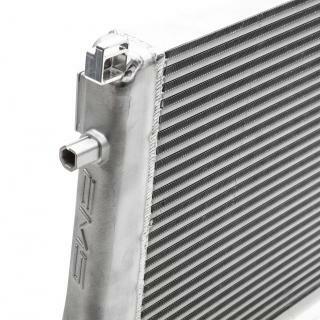 The AMS Performance VW MK7 GTI/Golf R Intercooler and its high efficiency tube and fin core utilizes 22 fins per inch. The AMS tube and fin core utilizes both internal and external formed/louvered fins which allow for smooth, unobstructed flow while maintaining a huge surface area with spectacular heat transfer capabilities. 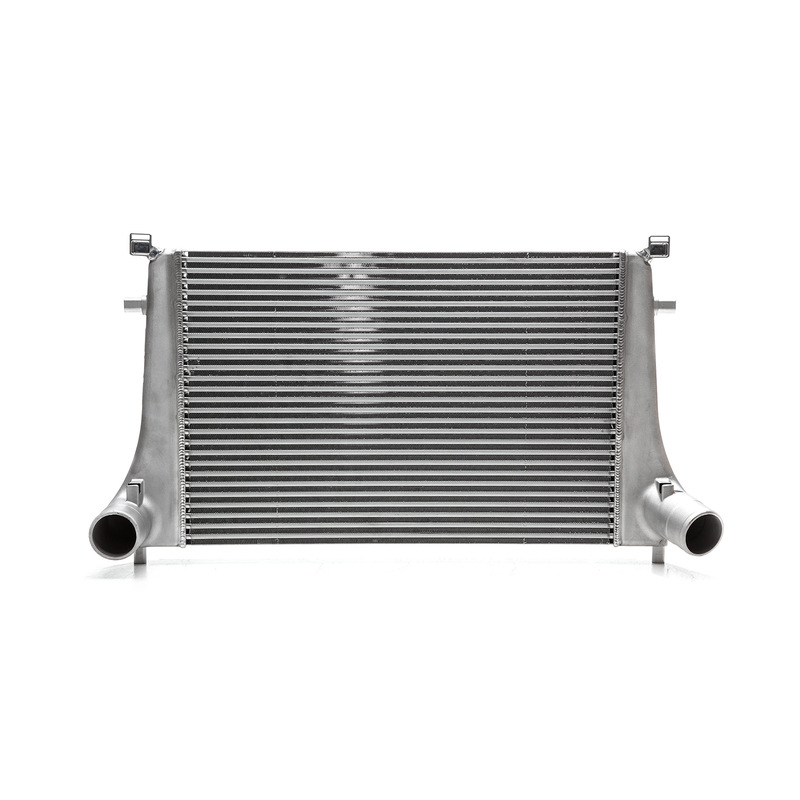 The results of our testing prove that our intercooler is the perfect balance of performance and efficiency for your Mk7 GTI or Golf R. With its high degree of cooling the intake charge will remain cool even in the toughest of conditions. 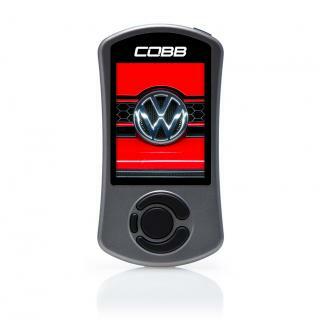 You will have piece of mind that your Golf R is running at its peak no matter if you are hot lapping at the track or driving spiritedly through your favorite winding back road. The AMS Mk7 intercooler upgrade kit is a direct bolt on utilizing your stock mounting points with purpose built aluminum cast end tanks for the Mk7 GTI and Golf R. This intercooler has over 64% more core volume than its restrictive stock counterpart. 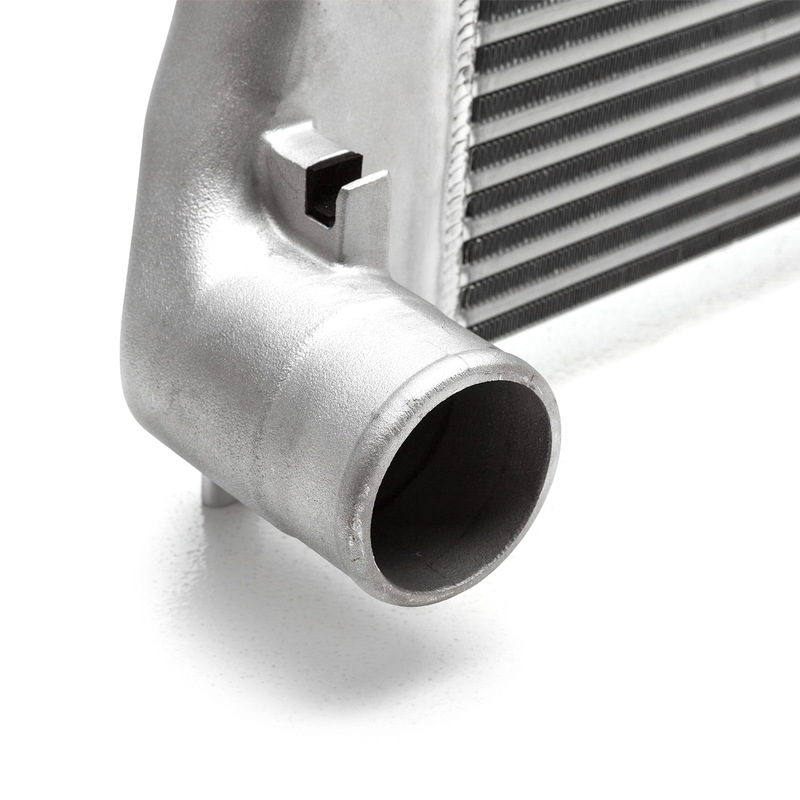 The AMS Golf R intercooler is the ultimate choice to keep your "Hot Hatch" cool! Volkswagen AMS Performance Front Mount Intercooler (Mk7) GTI, Golf R is rated 4.5 out of 5 by 2. 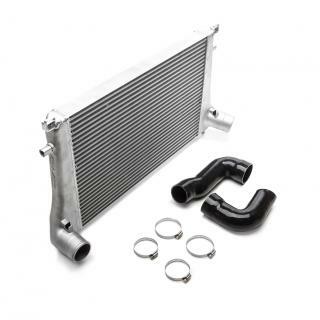 Rated 4 out of 5 by Moog from Amazing after install First off...I love this product. All the trouble was worth it. That said the install instructions were at times confusing at best. I recommend not discharging and removing the ac. Just make sure you have something to support the core once the crash beam is removed. To do this I went and purchased a long partially threaded bolt that supports everything during the removal and allows you to slide it away with ease. Kind of like opening a book. I also recommend just purchasing the two clips before hand as these are easier just to cut away than remove. I have tons more suggestions but I’m tired of finger typing...I love this product. COBB really delivered. Stage 2 is awesome and makes me wish I had installed sooner. 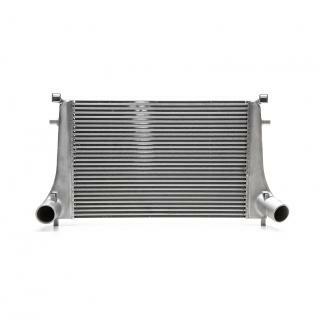 Rated 5 out of 5 by william from great investment temperature drooped a great deal, very pleased with the inter cooler.